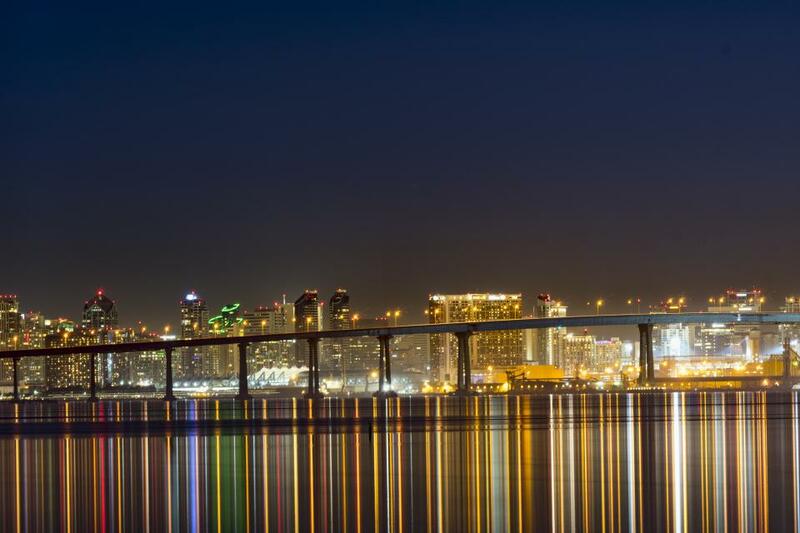 While I was at a meeting in San Diego California earlier this year I photographed the bridge between San Diego and Coronado from my hotel. A boat was cruising the bay while I took the photo. The photo was taken with a Nikon D500 set at ISO 100 in manual mode using spot metering for 119 seconds at F9, using a Nikon 80-400 mm F4.5-F5.6 lens on a tripod using wireless remote trigger. The RAW file was processed in Photoshop CC2017 and Topaz Adjust Exposure Control filter was used. Hello, would it be possible to use the picture for a banner we are trying to make?